Published over 60 years ago, this classic novel is about a child’s desperate longing for a dog – and a friend. Ben pores over books about dogs in the library, setting his heart on the biggest and best dog he can find. 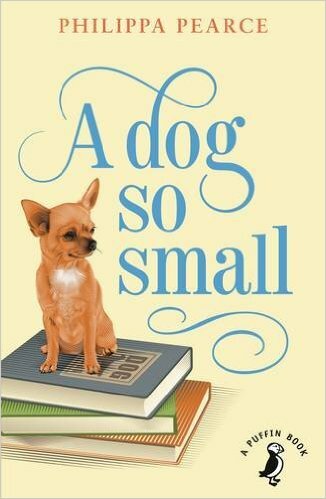 His grandfather promises him one for his birthday, but Ben’s mounting excitement is crushed when, instead of his dream, he receives a picture of a dog and the smallest dog of all. Despite his initial disappointment, Ben begins to imagine a dog so small that you can only see it with your eyes shut. Creating a world in his head, Ben sets out on a marvellous adventure travelling all over London’s open spaces with his tiny, imaginary dog, Chiquitito. Written by the award-winning author of Tom’s Midnight Garden. Talk together about the most interesting parts of the story and why they appealed to you. Share anything you found surprising or puzzling about the story or the words used. Have you ever felt really disappointed like Ben? Tell your story of what happened and how you felt. How did you feel about the end of the story? Children can design a ‘wanted’ poster, explaining the qualities they would like in a dog and describing its appearance. Children can create a ‘dream dog’ collage using different materials and textures, drawing on information about dogs from the web and in books. When finished, they can tell the story of adventures with their imaginary dog.